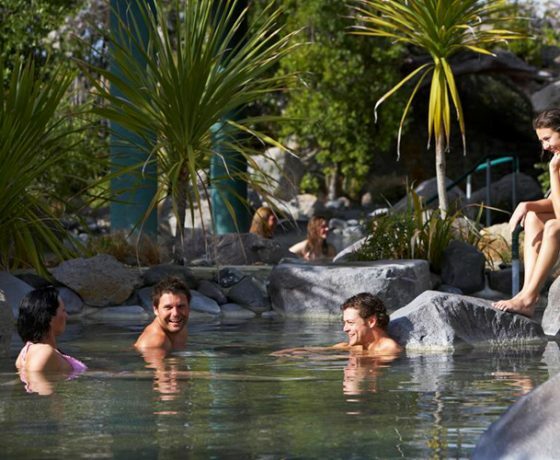 Polynesian Spa offers hot mineral bathing with four different bathing areas to cater to the differing needs of guests, each with their own unique characteristics; the deluxe Lake Spa, Adult Pools & Priest Spa, Private Pools, and Family Spa. 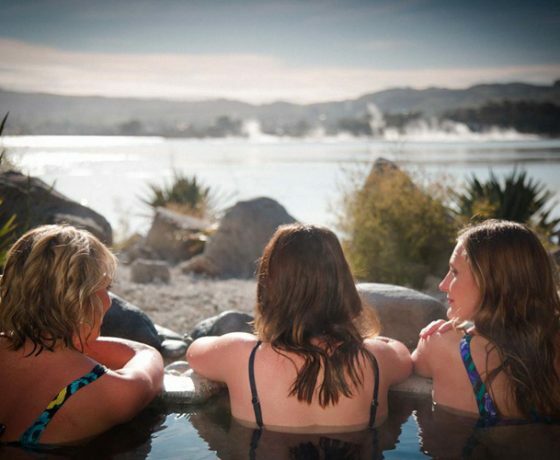 Escape to Polynesian Spa and unlock nature’s gift in Rotorua. Your soul will thank you for it. 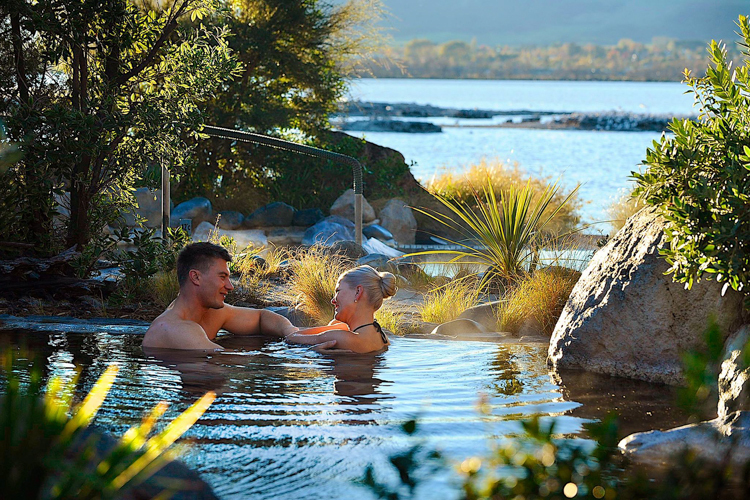 Nestled on the shores of Lake Rotorua lies Polynesian Spa – a geothermal bathing and soul soothing retreat, where you can experience wellness sourced from Rotorua’s very own backyard. 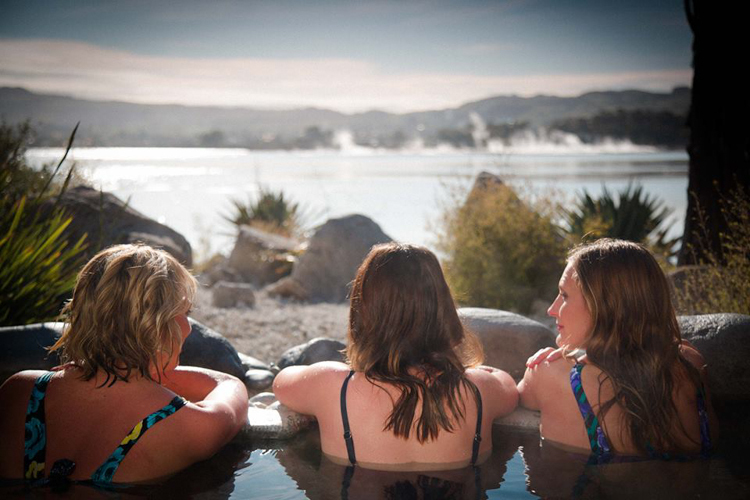 Renowned for its healing waters and decadent therapies, discover why people have flocked to these waters since the 1800s. 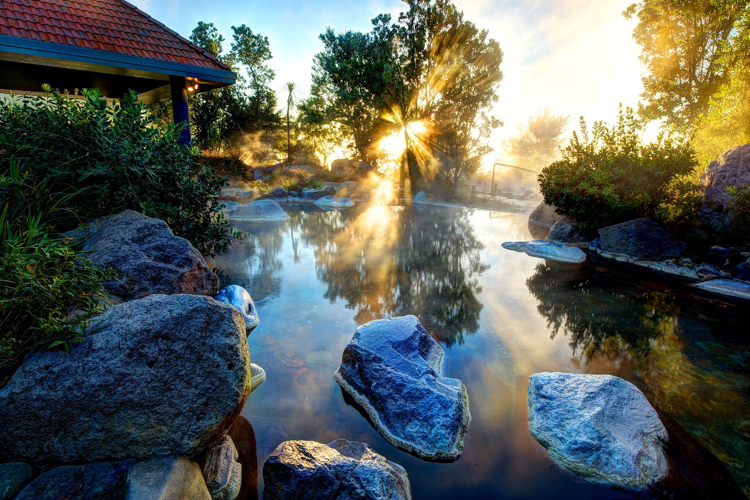 Channelling the geothermal marvels in its backyard, waters from two natural springs are fed into the 28 hot mineral pools at Polynesian Spa. 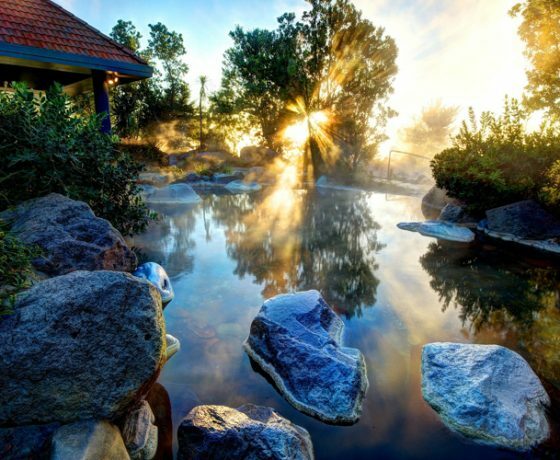 The slightly acidic Priest Spring relieves tired muscles, aches and pains while the alkaline waters of the Rachel Spring nourish skin. 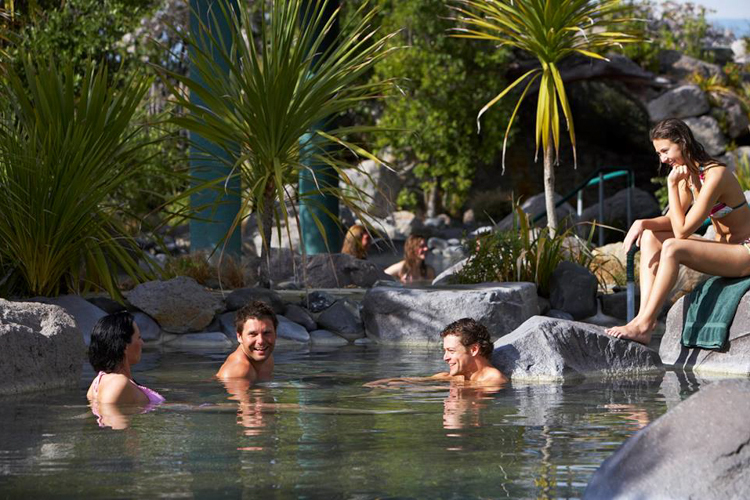 Wellness rituals such as hydrotherapy and a reflexology walk complete the experience. 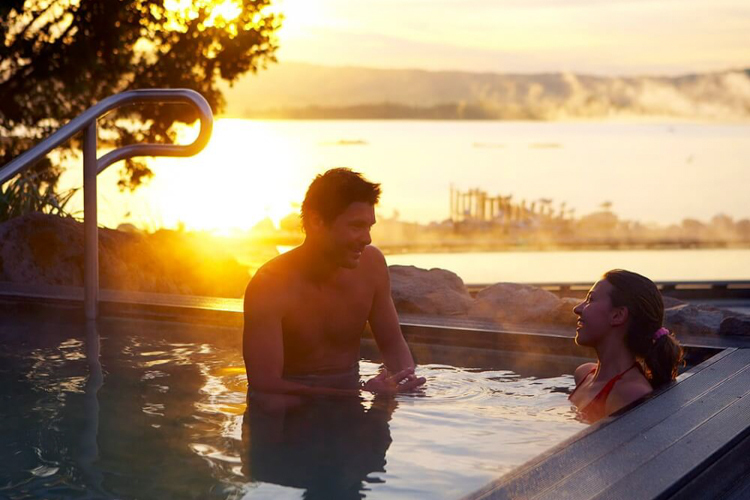 Specialising in a range of health and wellness treatments, The Retreat at Polynesian Spa has a decadent spa therapy menu. 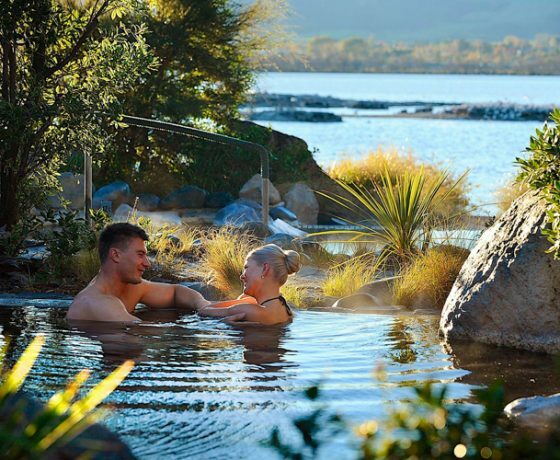 From Aix spa therapies to geothermal mud body wraps, aromatherapy massage, relaxation massage and facials, this is the perfect place to reset and relax. 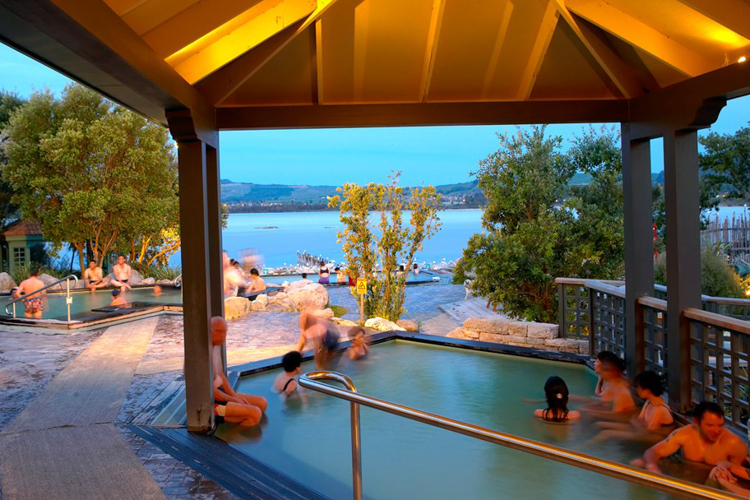 An outdoor bathing area that overlooks Lake Rotorua, the Lake Spa is Polynesian Spa’s deluxe thermal bathing and relaxation area. 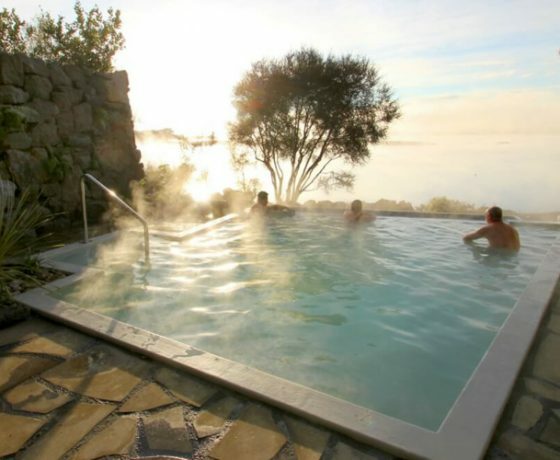 This unique thermal pool environment, where the atmosphere changes from day to night, and from winter steam to summer sparkle, is the quintessential luxury bathing area. 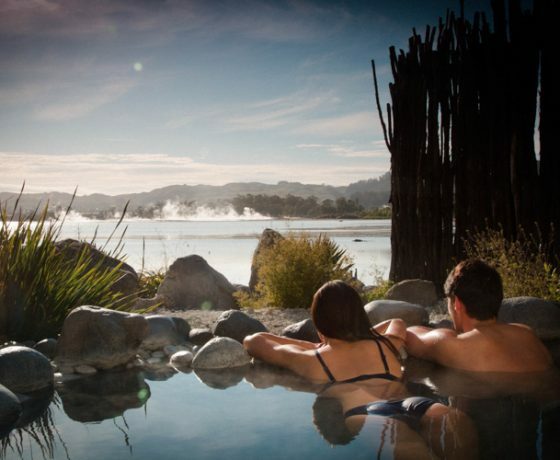 Comprising of four hot mineral rock pools, a relaxation lounge, an outdoor relaxation area with five geothermally heated recliners, well-appointed changing facilities that include towels, lockers, soap, shampoo and hairdryers, the Lake Spa is the premium bathing area. 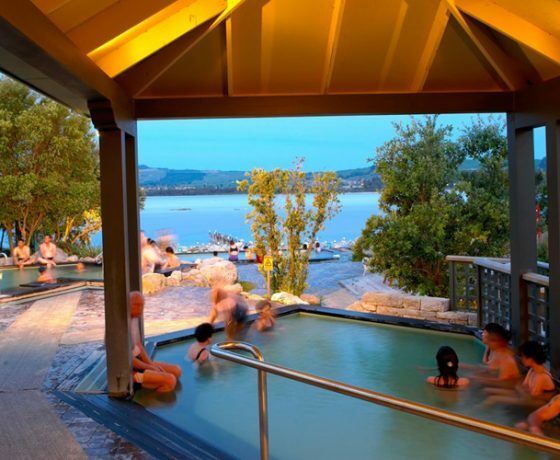 An outdoor and semi-outdoor adults-only area where guests can relieve aching muscles or replenish and revive skin in a peaceful and relaxed environment. 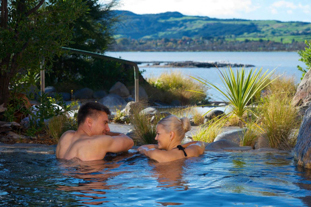 Overlooking stunning Lake Rotorua, this area includes three marble lined pools, one larger and deeper pool for light activity, and three Priest Spa pools filled with water from the Priest Spring renowned for its therapeutic attributes. 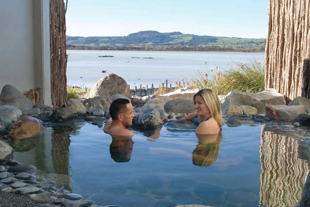 Deluxe Private Pools – Enjoy intimate bathing with panoramic views over Lake Rotorua. 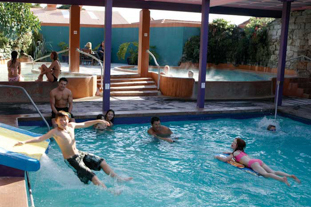 Standard Private Pools – Enjoy peaceful bathing with an open overhead. 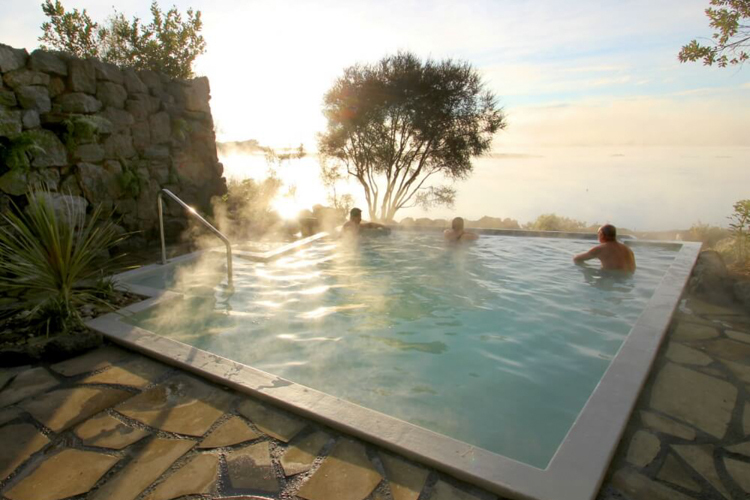 All private pools include heated flooring each with its own changing room and shower. 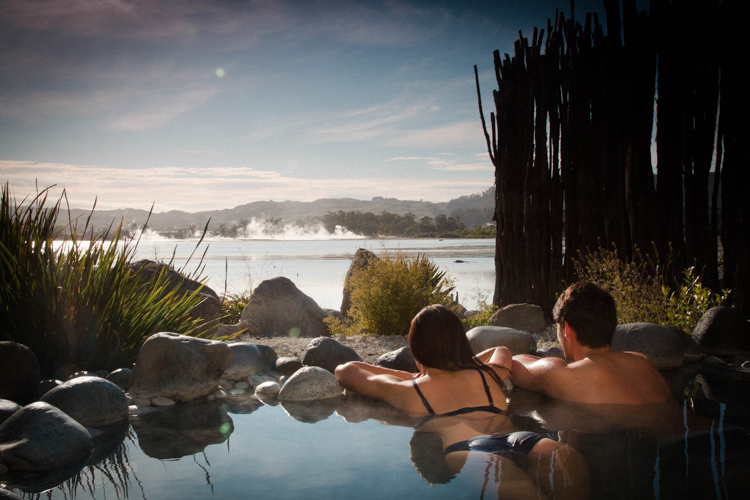 A minimum of 2 people are required and are available for 30 minutes hire. 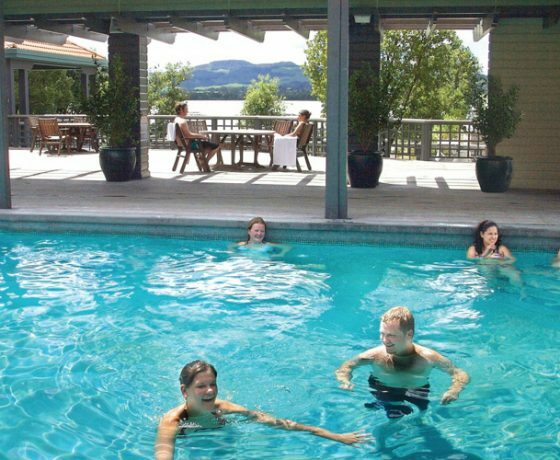 Providing entertainment for children and hot mineral bathing for the entire family, fun and enjoyment beckons in this most energetic pool area at Polynesian Spa. 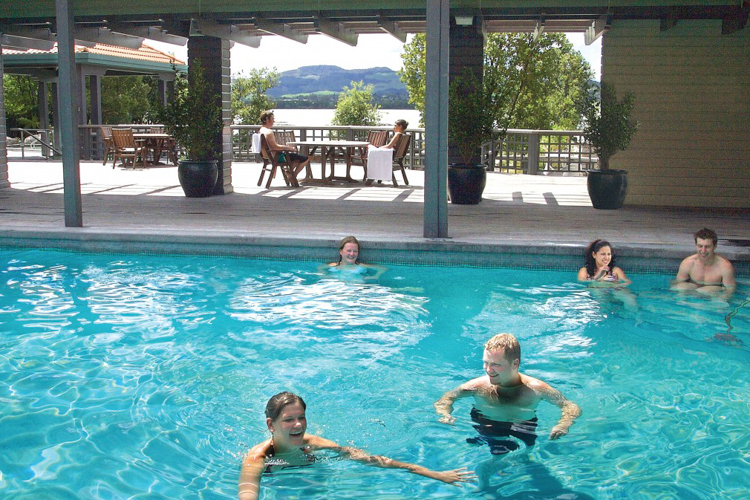 The Family Spa offers one large freshwater chlorinated pool with a small hydroslide and two hot mineral pools for the entire family to relax. 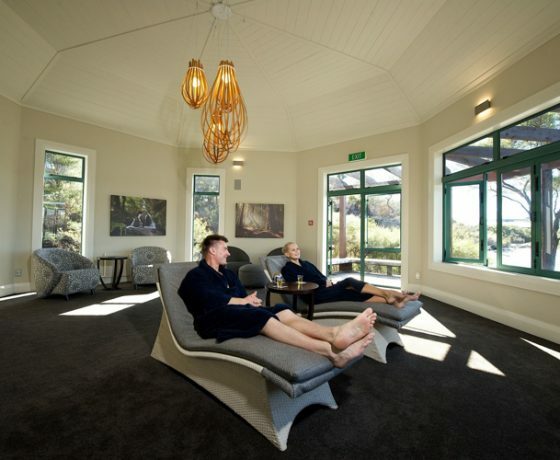 Here you can take time out to completely relax and unwind. 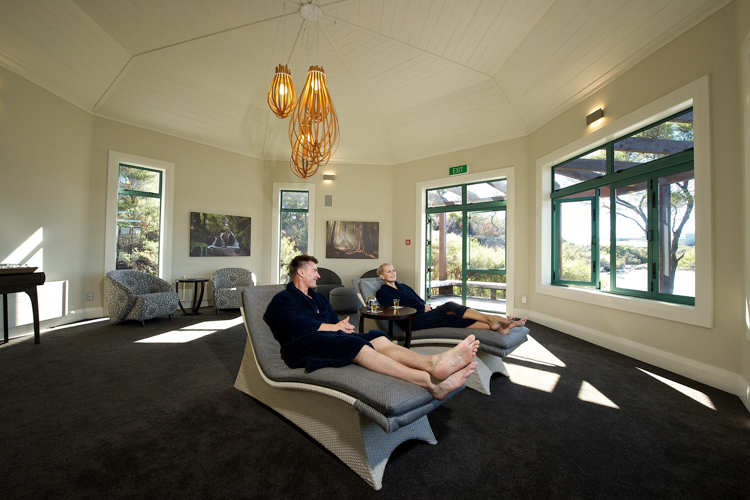 Indoor lake-view relaxation areas are offered, and include a large relaxation area where you are able to order and purchase refreshments. 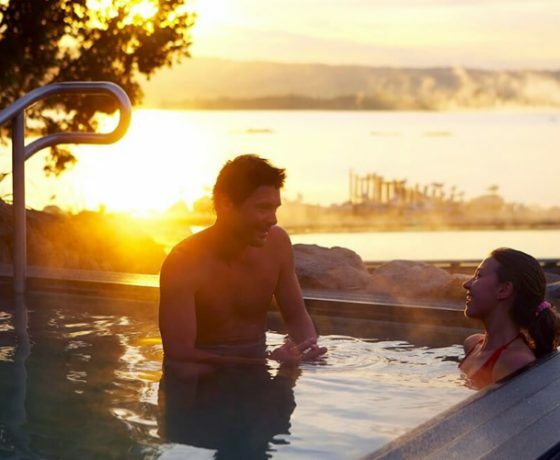 Robes are provided as well as complimentary Lake Spa bathing with well-appointed changing facilities include towels, lockers, soap, shampoo and hairdryers.